Fr. Herman Abcede, the Superior of the St. Matthew Province, did his Canonical Visit to the St. Hannibal Formation Center – Cebu on January 6-11, 2018. On these days, he met with the religious community to hear the report of the Superior on the status of the House and listened to each confrere in a series of fraternal dialogue. He also had the opportunity to encounter a group of active members of the Union of Prayer for Vocations affiliated to the Rogationist seminary of Cebu. 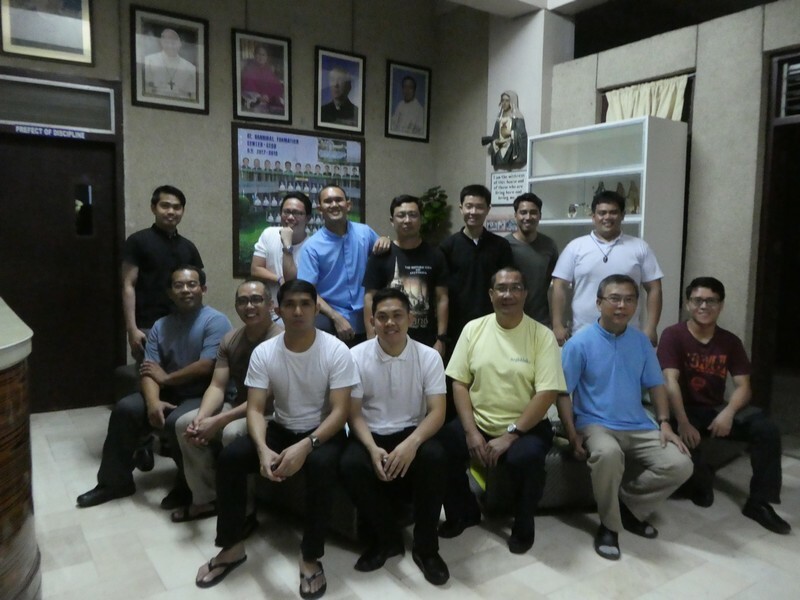 Time was allotted as well for a separate meeting with the seminarians and the lay personnel. Bro. Christian Allan De Sagun, the Provincial Secretary, who accompanied the Fr. Abcede to document the official visitation, also took the chance to check on the Archives of the Religious House. May these moments of prayer and colloquy truly strengthen communion among brothers, particularly in this period when the Philippine Church celebrates the Year of the Clergy and Consecrated Persons. Senyor Sto. Niño bless us all!